The 27th annual Arizona Musicfest Winter Festival will bring a deeply diverse lineup of exceptional artists, repertoires and musical styles to Valley venues beginning with Chita Rivera and Tommy Tune: Just in Time on Jan. 26. The 19-concert schedule concludes on March 16 with Decades Rewind that turns back the clock to the music of the 60s, 70s and 80s. In between will be performances by famed singer/pianist Michael Feinstein, internationally celebrated Pink Martini, the iconic bandleader/trumpeter Doc Severinsen, Valley favorite Alice Tatum Band, country superstar Lee Ann Womack, the Festival Orchestra with Maestro Robert Moody featuring premier musicians from the nation’s finest orchestras, and much more. Arizona Musicfest’s Festival Orchestra, under the baton of Maestro Moody will take the stage with special guest pianist Olga Kern and, during Festival Week in February, will perform renowned works by Beethoven, Vivaldi, Brahms, Gershwin, Mozart and Strauss. On Feb. 25, Musicfest honors the centennial of Leonard Bernstein with his cherished choral work, Chichester Psalms, and other choral pieces that celebrate his legacy. Winter Festival tickets are available at www.azmuscifest.org or by calling (480) 422-8449. 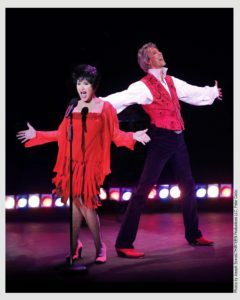 Chita Rivera and Tommy Tune—two of Broadway’s most celebrated legends—join together for an extraordinary concert event. With a combined 12 Tony Awards to their credit, this stellar duo will perform an evening showcasing the artistry, history and celebrity that have made them iconic stars of the Great White Way and beyond. Don’t miss your chance to hear the stars of tomorrow…today! Featuring some of the best young classical talent in Arizona, this concert will delight you as these superb musicians showcase their astounding musical talent, maturity and artistry. Presented in collaboration with the Musical Instrument Museum. One of the most important musical figures of our time, Michael Feinstein, backed by a 17-piece big band, brings his mastery of the Great American Songbook to the Musicfest stage. From his early days as assistant to Ira Gershwin, to multiple Grammy nominations, PBS specials, and concerts around the world, Feinstein has built a dazzling career over the last three decades. Don’t miss this unforgettable evening! From Bop to Pop, The Doo Wop Project is street corner singing for a new generation, featuring Doo Wop’s classic tight harmony songs alongside the biggest hits on the radio today. Showcasing stars of Broadway’s Jersey Boys and Motown: The Musical, these five charismatic, triple-threat performers—along with their hot 5-piece band—tear it up! The New York Times recently raved, “among North American brass ensembles, none is more venerable than the American Brass Quintet.” Internationally recognized as one of the premier chamber music ensembles of our time, the group’s performance history spans the globe, including nearly sixty recordings and the premieres of 150 works. Audiences and critics agree: the American Brass Quintet richly deserves acclaim as “the high priests of brass”(Newsweek). Country star and Grammy Award winner Lee Ann Womack makes her debut at Musicfest. From her chart-topping global hit, I Hope You Dance—which sold over 6 million albums—to her recent album, The Way I’m Livin’, and other beloved and award-winning favorites, Womack has become known for her deeply personal songwriting and remarkable voice. Following its successful debut in 2016, the Festival Sinfonia, comprised of Festival Orchestra musicians, performs an intimate concert of beloved orchestral works for smaller ensembles. Vivaldi’s fervent Winter from The Four Seasons is featured as the concert’s centerpiece, with Wagner’s Siegfried Idyll and Mozart’s Symphony No. 40 rounding out the afternoon’s musical offerings. Maestro Robert Moody leads the superlative Festival Orchestra, comprised of players from the nation’s finest orchestras. Richard Strauss’ exuberant tone poem Don Juan and Johannes Brahms’ passionate Symphony No. 3 highlight an evening that also includes David Ott’s captivating Concerto for Two Cellos, featuring distinguished Festival Orchestra musicians Brant Taylor (Chicago Symphony) and Brian Thornton (Cleveland Orchestra). The striking young Russian pianist and 2001 Van Cliburn Piano Competition Gold Medalist Olga Kern makes her much-anticipated Musicfest debut performing Rachmaninoff’s electrifying Piano Concerto No. 3. Maestro Robert Moody and the Festival Orchestra begin the evening with Copland’s brilliant Fanfare for the Common Man, followed by the stunning Symphony No. 5 by Finnish composer Jean Sibelius. Gershwin’s beloved Rhapsody in Blue, featuring jazz star Tamir Hendelman, headlines a concert filled with symphonic favorites and beloved classics. Selections from Leonard Bernstein’s West Side Story mix with film scores, an Olympics tribute and even a little opera to create an entertaining and thoroughly enjoyable evening of thrilling orchestral music. The Festival Orchestra Week finale pairs Beethoven’s iconic Symphony No. 5—one of music’s best-known works—with a tribute to one of America’s best-known composer-conductors. Musicfest honors the centennial of Leonard Bernstein with his cherished Chichester Psalms in a memorable celebration of his beloved choral works. 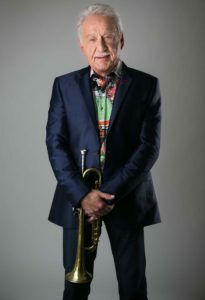 Legendary trumpeter and bandleader Doc Severinsen returns to the Valley for a special concert experience. Joined by trumpet virtuoso Byron Stripling, Doc Severinsen’s Trumpet Kings honors and celebrates the world’s greatest jazz trumpeters of the 20th century. Featuring classics from Louis Armstrong, Harry James, Miles Davis, and Dizzy Gillespie, Doc and his band will light up the stage in an electrifying and heartfelt tribute to the greats. A fixture on the Phoenix music scene for 30 years, the versatile Alice Tatum is an award-winning and critically-acclaimed singer who has played alongside such greats as Michael McDonald, The Righteous Brothers, Bonnie Raitt, Alice Cooper, Nancy Wilson, and Paul Anka. Joining Ms. Tatum on keyboards is Musicfest favorite Nicole Pesce. Performing and recording continuously since 1965, Papa Doo Run Run’s high-energy, highly interactive show features Classic Rock favorites plus the band’s award-winning re-creation of the hits of The Beach Boys. Former musical partners with Jan & Dean and the original Beach Boys, Papa Doo Run Run were pioneers of the California Sound and surf music. Founding member of the seminal Celtic band Solas and composer of Sarah McLachlan’s Grammy-winning song, I Will Remember You, Seamus Egan explores the breadth and depth of the Irish musical tradition mixed with bluegrass…and much more. Playing a range of instruments from Irish flute to banjo, and joined by friends and musical guests, Egan will perform from his immense and influential music catalog. Decades Rewind—a concert, dance party and theatrical performance featuring more than 60 songs, 100 costume changes, and videos—turns back time and blends unique medleys from the ‘60s, ‘70s, and ‘80s. From Woodstock and disco to Motown and pop, Decades Rewind captures your music, your memories and your life. Celebrate the finale of Musicfest ’18 with this dazzling performance! For more information, visit www.azmusicfest.org.